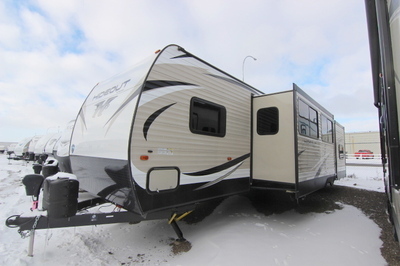 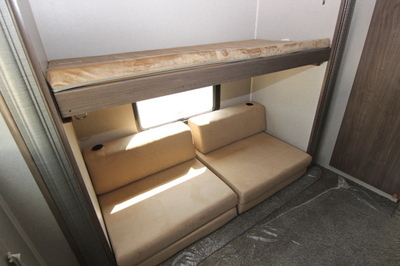 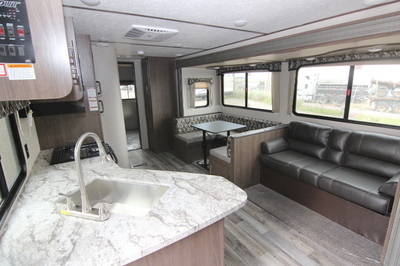 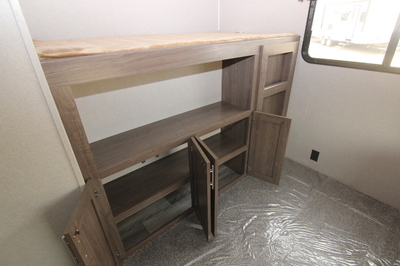 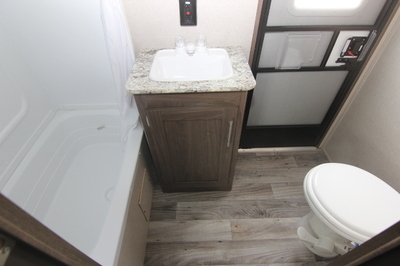 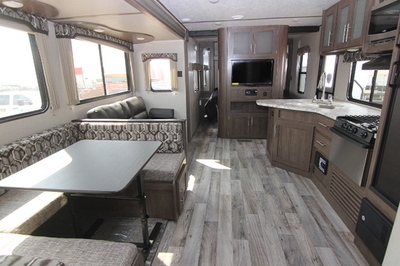 Packages and Upgrades Included with this Unit:- U-Shaped Dinette, Bunk Room, Outside Kitchen, Hideout Luxury Package, Cold Mountain Package, Prestige Package, Radial Tires, Central Vacuum, TV with Quick Disconnect, Power Tongue Jack, 6 Gallon Gas/Electric Water Heater W/DSI, Tub Surround, 15" Spare Tire Kit, Exterior Shower, Exterior Ladder, Jackknife Sofa. 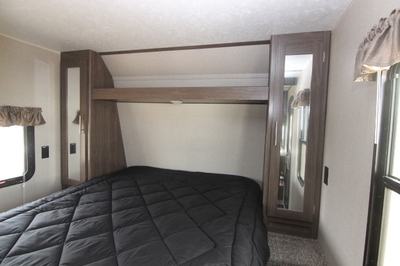 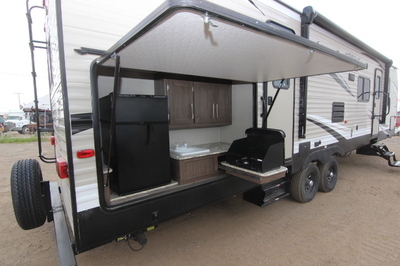 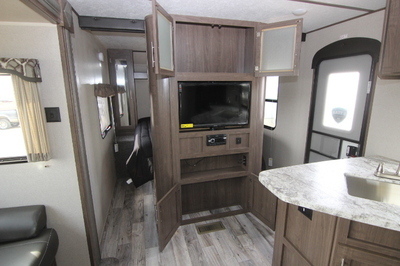 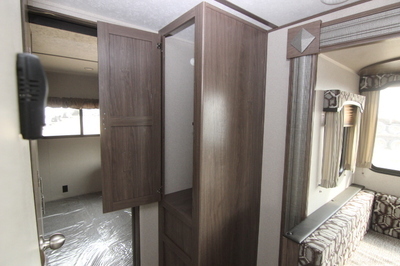 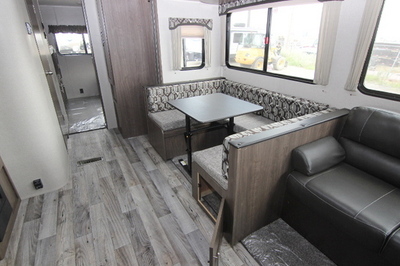 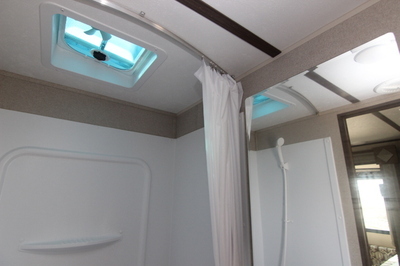 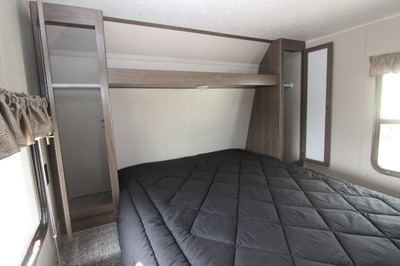 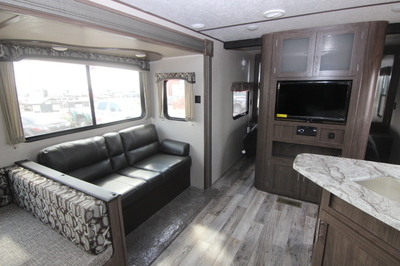 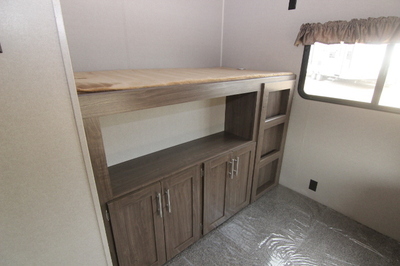 Hideout Luxury Package:- Night Shades in living Area, XL Entry Assist Handle, Black Tank Flush, LED Adjustable Power Awning,DVD/CD/MP3/Bluetooth Stereo, Hidden Laundry Chute (Most Models), Central Monitor Panel, 12 Volt Charging System, Solid Bedroom Privacy Doors. 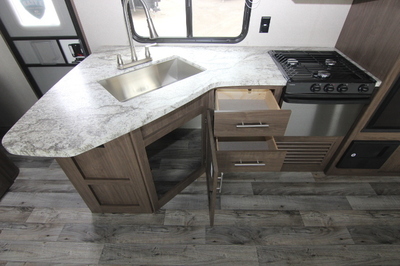 Prestige Package (N/A 38’Models):- (4) Power Stab-Jacks,Solid Surface Countertops, Stainless Steel Undermount Sink, Pull Out Chef’s Faucet, LED Accent Lighting, Upgraded Graphics Smooth Front Metal. 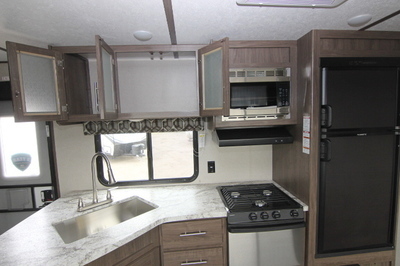 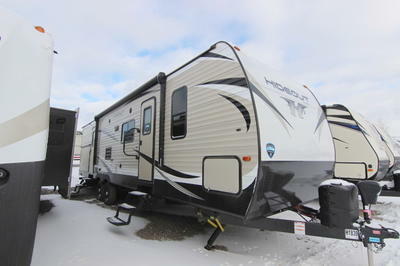 Interior Standard Features:- Range Hold w/Light and Exhaust Fan, Stainless Steel 3 Burner Range w/Oven, 6 Cu. 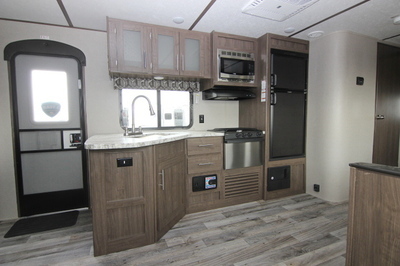 Ft. Gas/Electric Refrigerator, Black Fridge Insert, Stainless Steel Microwave, High Rise Chefs Faucet, Stainless Steel Undermount Sink, Cable TV Hookup w/Booster, Reversible Bedspread, Porcelain Foot Flush Toilet, Bathroom Exhaust Fan, 81” Interior Ceiling Height, Quick Recovery 6 Gallon Gas DSI Water Heater, 13,500 BTU Ducted Air w/Thermostat,30,000 BTU Furnace, 12 Volt 55 AMP Converter. 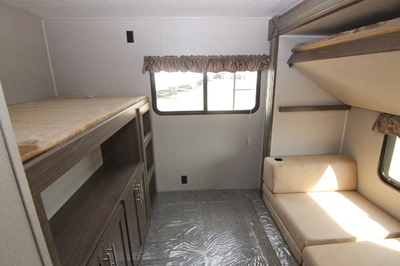 Exterior Standard Features:- Mega Pass Thru Storage Compartment, Easy Lube Axles, E-Coated Corrosion Resistant Wheels, 4 Interior and 2 Exterior Speakers, Seamless One Piece TPO Roof Membrane, Fully Walkable Roof, Diamond Plate Rock Guard, Triple Entry Steps on Main Door, Tinted Safety Glass Windows, Digital TV Antenna, Extended Long Rain Gutters, Furrion Backup Camera/Observation Prep.